Bob Dylan has replaced Beyoncé as the Super Bowl halftime performer—or at least Tim Heidecker says he has. According to the ex-Rolling Stone editor and Tim And Eric Awesome Show, Great Job! star, the folk warbler has replaced the pop star after her inauguration lip synching scandal left the country—and sponsor Pepsi—so shocked and saddened that the only cure was a notoriously eccentric 71-year-old. 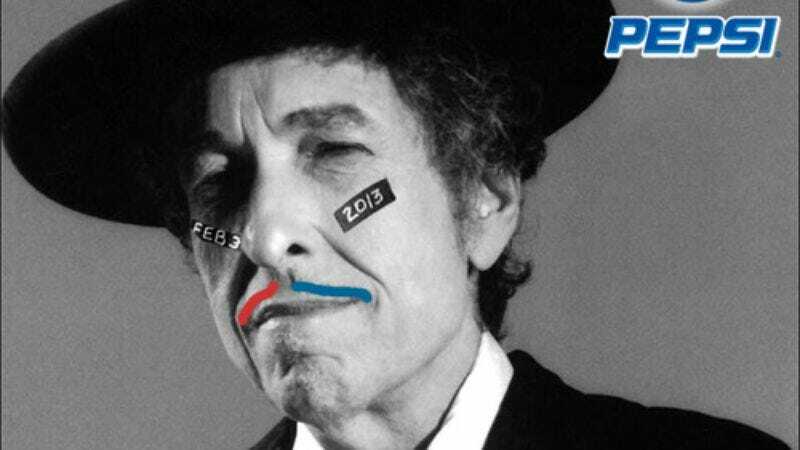 Reminding the world that nothing screams contact sports like an old man in a floppy bow tie, Dylan even (supposedly) dropped a new single around the announcement. “Running Out The Clock” was (allegedly) recorded around the time of Dylan’s Infidels album in 1983, but hasn’t been released until now. Thank heaven the singer had this song chock full of football metaphors just sitting around, gathering dust on an archives shelf somewhere. Here’s hoping he’s got a bunch of old dance moves in storage, too.